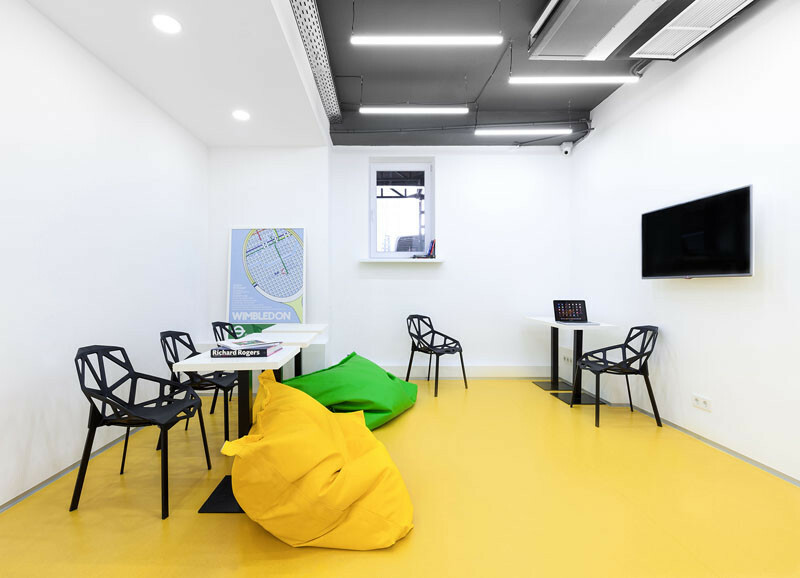 Architect Emil Dervish, has designed the Underhub language school, in Kiev, Ukraine. 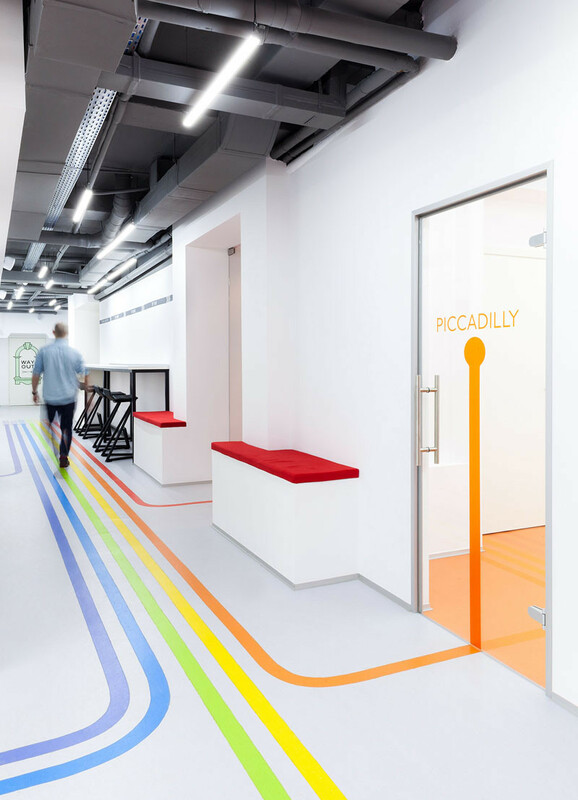 When designing the space, he was inspired by the London Underground, and wanted to re-create the atmosphere, with the use of bold colorful lines. 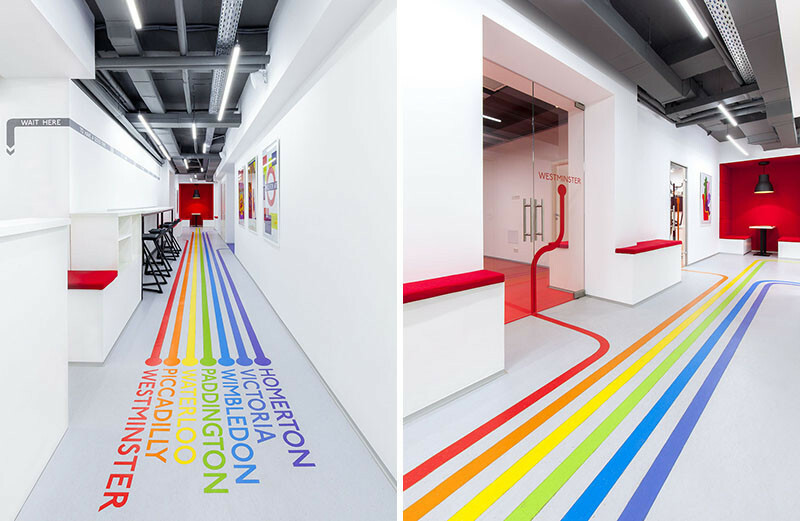 The rainbow colored lines on the floor, with names of London tube stations like, Westminster, Piccadilly, and Paddington, each lead you to the classroom. 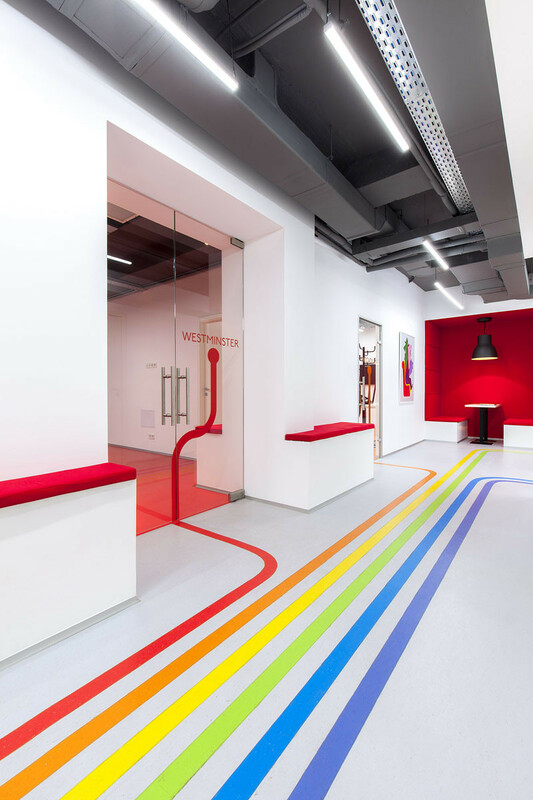 Once you get to the classroom, the line carries up onto the door, and once inside, the color of the room corresponds to the line you were following to get there. 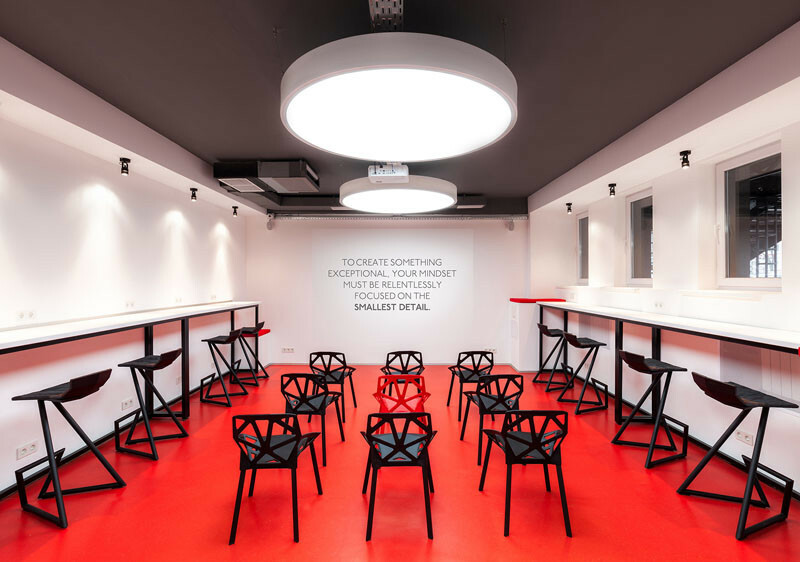 In each classroom, there is framed artwork that represents the name of the room. 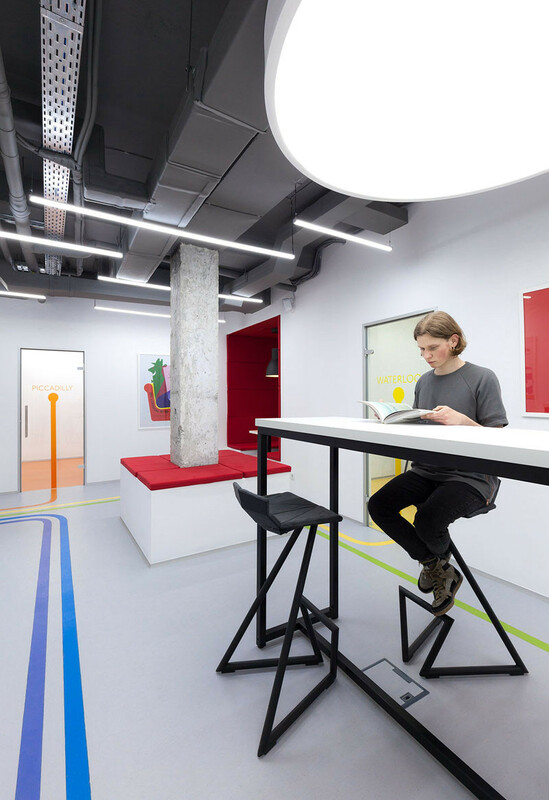 As you’re guided by the lines, there are other common seating areas you pass by. 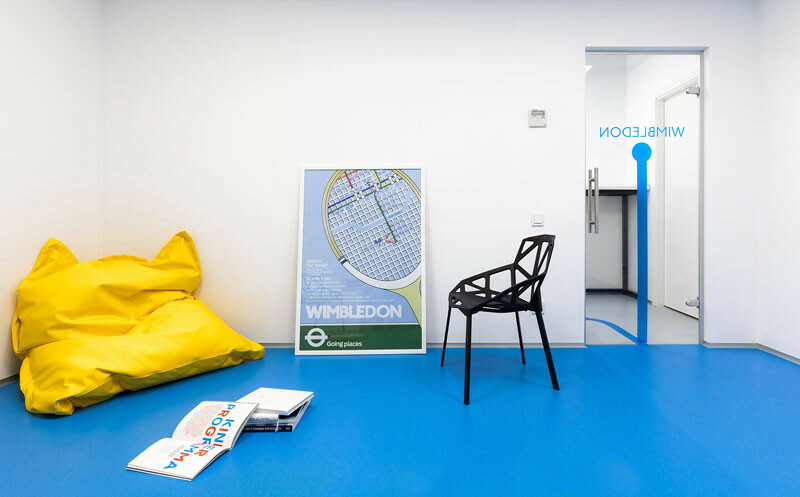 Other British-inspired touches have been included, like this vintage ‘way-out’ sign. 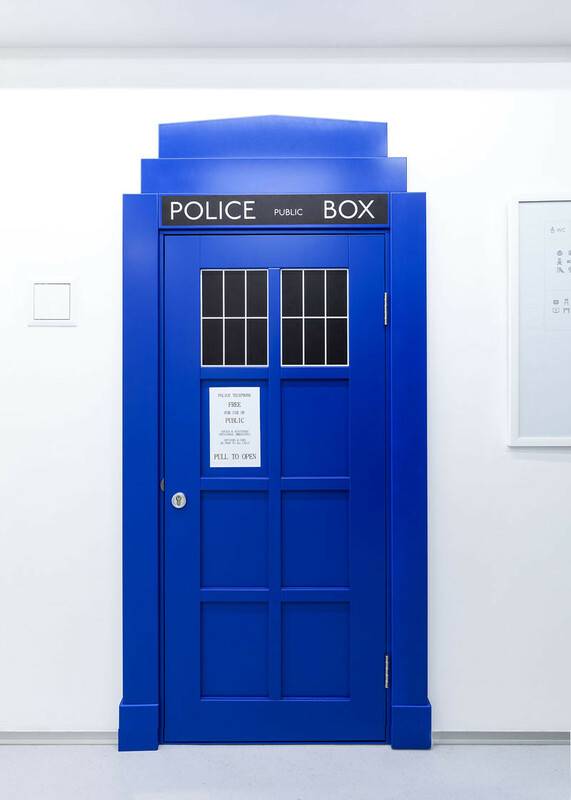 And this blue police phone box. 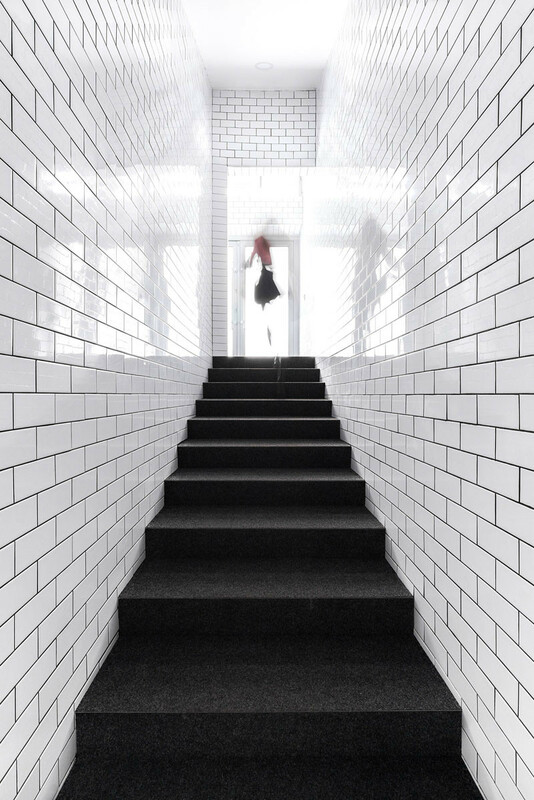 And the white subway tiles.